As you probably know, I have a background in graphic design and, for many years, Photoshop was the main tool I used as a professional. When I first got interested in photography, the learning curve was not very steep because I continued using Photoshop to edit my photos after adding a few photography specific plugins. But, since Adobe introduced Lightroom, the process of organizing and editing my photos gradually began to change. At first, I only used Lightroom for photo organization. But, as each version of Lightroom became more sophisticated and useful for me as a photographer, I noticed that I used Photoshop less and less while managing to complete more tasks in Lightroom. The next big change occurred when the preset functionality was introduced in Lightroom. I initially started to develop my own presets and later came up with an entirely new editing approach called Lightroom Rapid Editing. Lightroom 6 was a huge update that affected my editing workflow once again. I realized that I did not need any dedicated HDR programs since I could perform HDR merging in a nondestructive RAW environment. This was huge! Plus, I no longer needed Photoshop to create panoramas as, yet again, Lightroom offered a RAW environment for doing exactly that. After I upgraded to Lightroom 6, I stopped using most of the usual plugins even though I always loved Nik plugins and used Color Effects, Viveza for years. I also liked the style plugins from ON1 and Topaz Labs. But, I stopped using those as well because the combination of new functionalities of Lightroom and my Lightroom Rapid Editing allowed me to achieve the same effects in a nondestructive RAW environment. But, not everything was perfect in paradise. The one functionality of Photoshop that I always missed was also huge for me – the ability to change the Opacity. When working in Photoshop, I always apply a much stronger effect to the image than I need. Then, I change the opacity of the layer to dial down the effect so that I have more control over the look that any given effect produced. This functionality is missing in Lightroom. For example, if I apply one of my presets to a photo and I see that the effect it produces is too strong, I cannot simply dial it down with one slider. Instead, I have to dig deep into the editing tools of Lightroom to change a gazillion different sliders. For me, this is not a complex process because I created the presets myself and, as a result, know them inside and out. It is just time-consuming. However, for people using my Lightroom Rapid Editing, changing the opacity becomes a very complex task. But, not to worry. I have good news. The problem was solved when I realized that I can hack the Opacity functionality in Lightroom. I picked one of the presets from Landscape Collection (End of Summer) and created 9 extra variations, by reducing the strength of the effect by 10% for each consecutive version. This is when the concept of Lightroom Rapid Editing Plus was born. It is not going to replace the existing Rapid Editing. 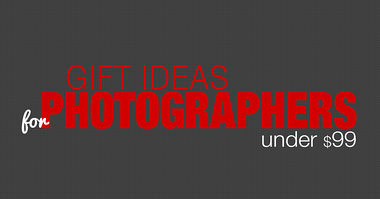 It will be optional extensions for photographers who need more creative control over Lightroom editing. Now if you like the effect of any given preset produces but it is too strong for your taste, you can dial it down by using “Virtual Opacity” functionality of Lightroom Rapid Editing Plus. Please let me know what you think about this addition to Rapid Editing. Sill in development and testing. I am trying to come up with the most efficient workflow. 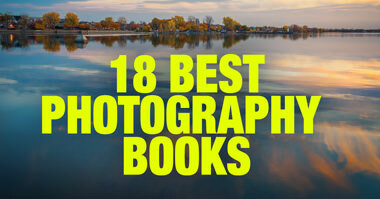 I will start with Landscape collection. It should be ready before holidays. Hi Viktor, I don’t currently have your “Lightroom Rapid Editing” System, but am curious and thinking about it. This latest option you’re developing looks like a good ‘work-around’. I have a question (or two? ); As I don’t get much time for my hobby, and finances always seem tight, I’m very limited on what I can spend on this hobby. I had Adobe’s Photography Plan for a year, but cancelled a few months ago because Photoshop was too complicated for me to learn with limited time available & the ongoing cost. Can you tell me if Lightroom 6 has the “de-haze’ feature? I’ve gone back to Lr v5.7 now & don’t have that feature, which I thought could be very useful. I’ve ordered On1 RAW, but recently I’m hearing a lot about the potential for crashing, even if a computer meets the software’s Specs. My laptop is 3-4 years old, meets their Specs, but I get the occasional crash with On1 Photo 10.5 & may want to upgrade to Lr6 if I get the crashing problems with On1 RAW. 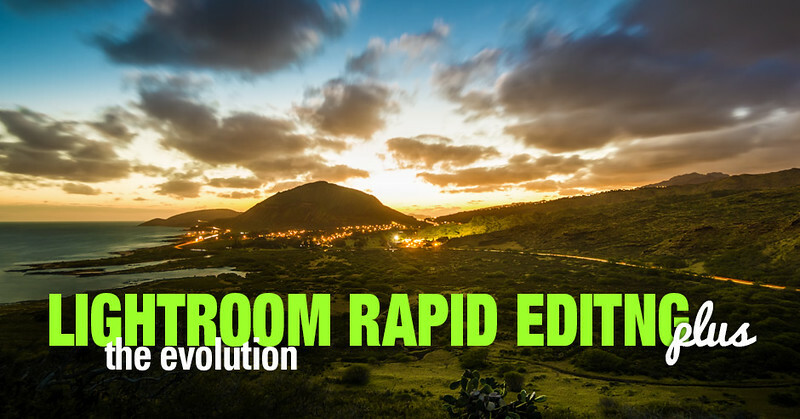 I think this would be a great addition to Lightroom rapid editing. I’ve been trying to learn more about the other lightroom tools but fast is better. I am aware of the Fader and I have it installed on my system. The problem with the Fader is it is slow. It takes time to open it because there is no shortcut, at least not on PC. Then if you want to check 3-4 different opacity values the Lightroom has to render 4 full preview versions. I was excited about the Fader first but I stopped using it because the workflow was too slow. With my new approach, you preview different opacity values in Navigator window where the preview are instantaneous. Remember my April email: “One thing which would be useful is a fader option in the toolkit”? Looks like you’re working on the answer to my needs! Guy Gowan’s process action makes use of similar options in Photoshop (although getting a bit to complicated and processor intensive in my view) although generally with 20% steps. The only issue I can see with using 10% steps is menu size. Like you, I found the Fader plugin was simply too cumbersome to use in my workflow, and I find myself simply switching to Photoshop. This is not really satisfactory, though. Please press on, more strength to your arm! I remember your email very well. This is when my search for the solution started. When I discovered the Fader I thought it was it but I stopped using it because it did not fit in my workflow. I agree with you on potential problem with the Presets menu size and I am hoping Adobe will add support for subfolder structure like in Collections. But I am refuse switching to Photoshop. In Photoshop even simple process of Cropping takes 10 times longer than in Lr and you have to rasterize RAW images. Yes, that’s the killer advantage of your system, and why I got interested in it: speed! If you can only crack the opacity (strength) issue that would radically affect my workflow. For one thing, it would allow me to actually see possible options on screen, rather than only having the time to envisage them in my mind’s eye. And in any case, you can really never predict that unforeseen happy result that occurs by accident! Hi Victor – your additional controls look good but I would be very interested to know your views on the soon to be launched “ON1 RAW” with unlimited opacity control. I am very curious about ON1 Raw and hoping they will build real competitor to Lightroom. But based on info I have ON1 is building a basic RAW tool for beginners and I do not expect them to release the first version with the advanced features to compete with Lr. Anyway, this new functionality sounds very good, I only wonder if this means that it will produce 9 new presets (scale 10% increment) for each of every single preset installed today which means really a huge menu of presets, or you are trying to develop an “Opacity presets” from 10% to 100% which will be used after applying the selected preset, and can be applied to any of tose presets. 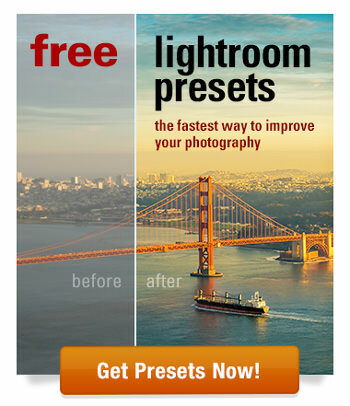 this is a shortcoming of Lightroom. For some reason you can not create subfolders in Presets panel. Right now I have 2 Develop Presets. One is Develop Presets FULL and another Develop Presets SLIM. Depending on my work I unable only one I need. If I am in editing mode after one of my trips, I only use SLIM version where I have Landscape Collection and TOOLKIT, but when I am developing presets or working on a tutorial I use FULL folder where I have everything. Thanks Viktor, I also find this LR subfolder limitation quite annoying. Hi Viktor. This is a welcome improvement indeed. Are you selling this or will your existing customers get it at no charge? I can’t find a link in your article to download the new presets. ***UPDATE***: Never mind: I just read your followup article where you said this system is not released yet. I’ll be sure to shoot you an email. Thanks! im def interested in that – will we have to buy it or will people who already have the rapid editing package get it at no charge? I’ve already sent PLUS version to all people who purchased the original collections earlier. What is your email address?